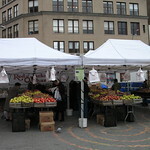 The Union Square Greenmarket is a farmers' market in Union Square in Manhattan, New York. It is held every Monday, Wednesday, Friday and Saturday from 8 AM to 6 PM. Saturdays are the busiest day of the four. The market is served by a number of local farmers (the median distance between farmer and market is 90 miles). 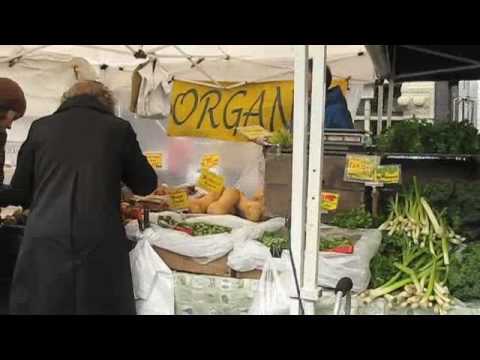 During peak seasons, the Greenmarket serves more than 250,000 customers per week. More than 1,000 varieties of fruits and vegetables can be found at the Greenmarket.